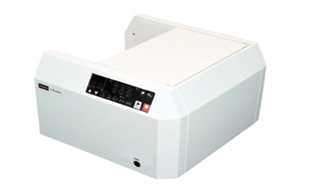 The U-Booklet is a tabletop booklet making machine that automates stapling / folding documents. Anyone can produce professionally finished booklets by easy operation, in a few seconds. The Uchida U-Booklet ideal for print shop, small office business, school, college, church etc. Is is an affortable entry level product.